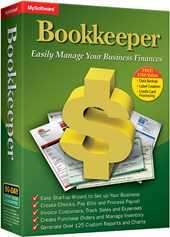 Easily Manage your Small Business with Bookkeeping and Payroll Software. Create checks & pay bills, invoice customers, track sales & expenses, over 125 custom reports & charts and more. Express Accounts professional business accounting software to document and report on business cash flow, including sales, receipts, payments and purchases.